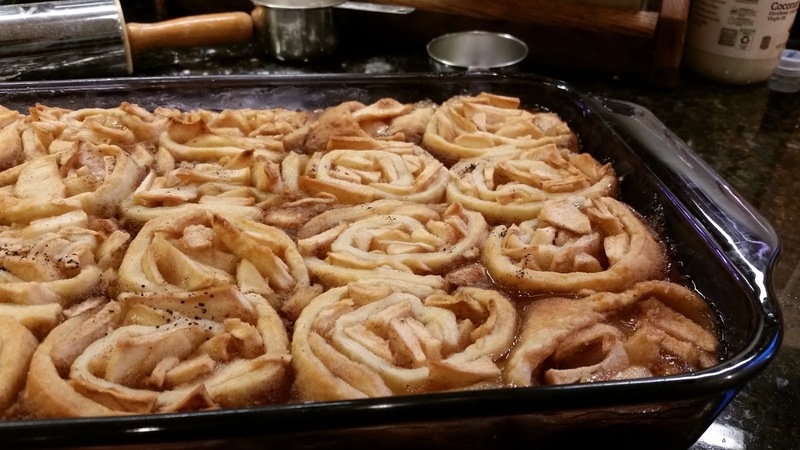 My mom used to make these, but I hadn't thought of them in ages, until someone recently posted a recipe for Apple Dumplings. 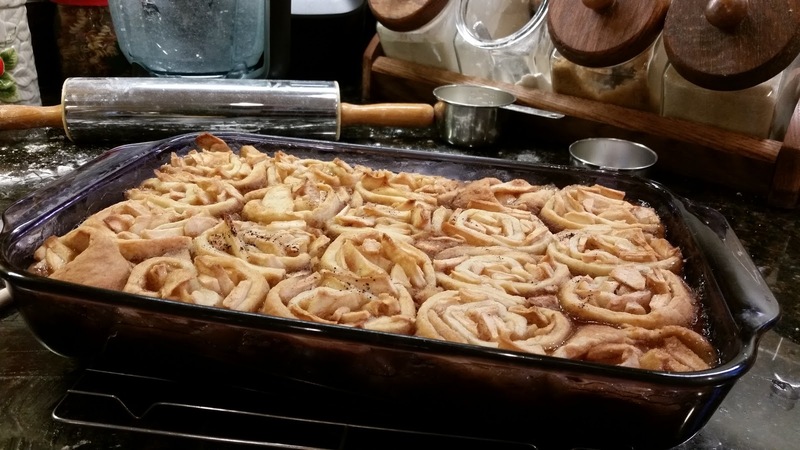 Their recipe wasn't quite the same thing, but it reminded me, so I asked mom to share the recipe. First she had to find it, because it doesn't sound like she'd made them in a while. Once I got the recipe, it took me a while to actually make it, but I finally made some of these last week. Yep, they're just as good as I remember. 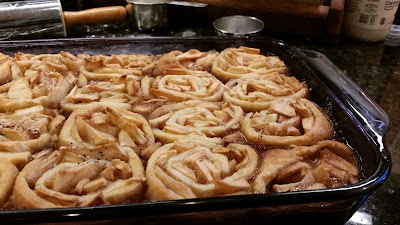 Tender apples rolled in crust and swimming in cinnamon sugar syrup. What's not to love? 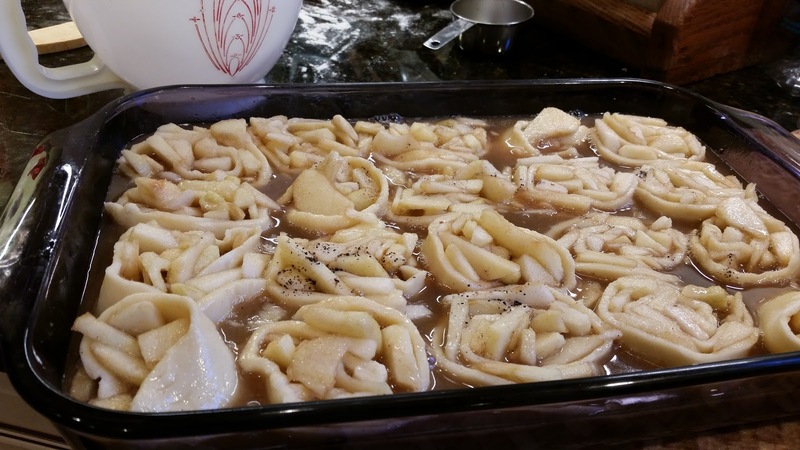 Mix sliced apples with sugar and cinnamon; set aside. 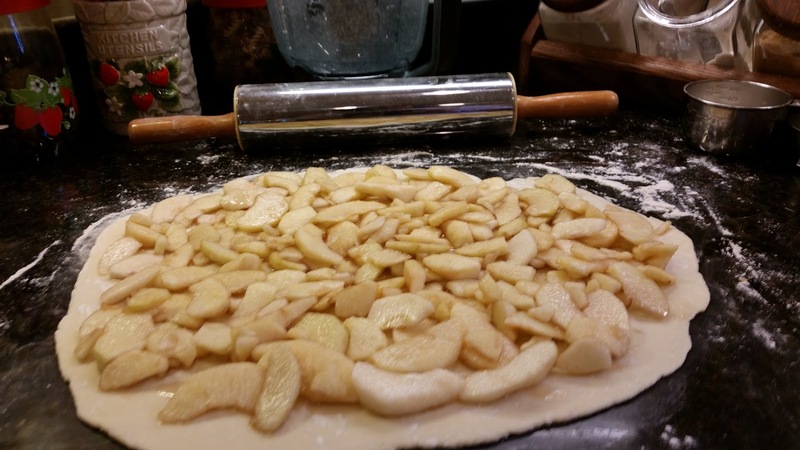 On floured counter, divide dough into two pieces and roll each piece into a rectangle the thickness of a pie crust. 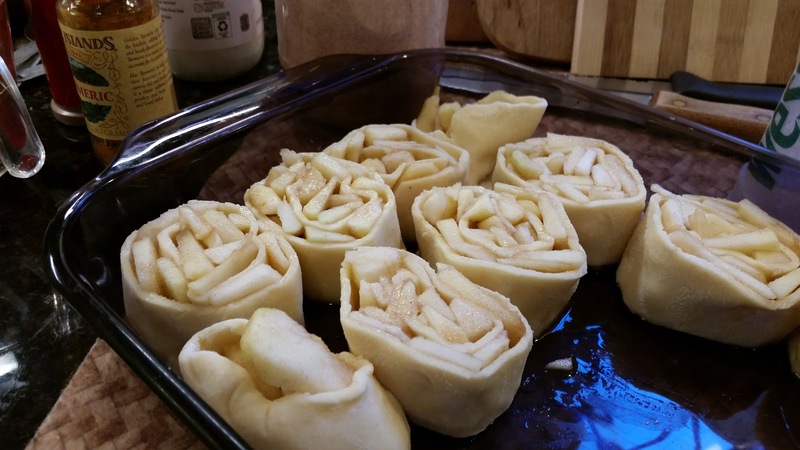 Spread apples on dough and roll up, starting from the wide end. Slice each roll into 10 slices and place in 13x9" pan. Pour syrup over top and bake 15 minutes @375° F, then reduce heat to 350° F and bake an additional 45-55 minutes, until nicely browned. Optionally for the syrup - there will most likely be liquid left in the bottom of your apple bowl, so use that. It already has sugar in it, so you can reduce the sugar to 1 cup and also reduce your boiling water so the total liquid equals 2-1/2 cups. While this is really good just the way it is, I am thinking of adding some lemon juice and lemon zest to the syrup next time I make it. Not a lot, just enough to add a little touch of sharpness or zing. 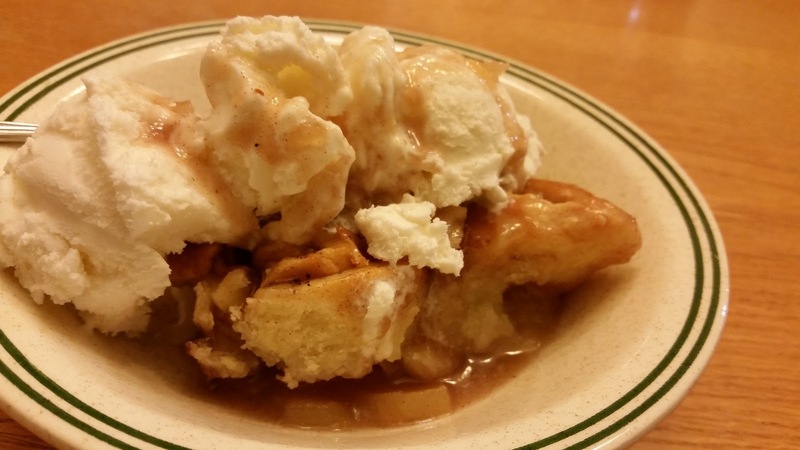 Serve warm, with vanilla ice cream and some of the syrup drizzled on top. Yum! I'm pretty sure I need to make this more often!